NASA is rescheduling the launch of its CYGNSS spacecraft for no earlier than Wednesday, Dec. 14, from Cape Canaveral Air Force Station in Florida, during a one-hour window that opens at 8:20 a.m. EST. Live launch commentary will begin at 7 a.m. from nearby NASA Kennedy Space Center, and carried live on NASA Television and the agency’s website. A prelaunch program by NASA EDGE will begin at 6 a.m.
CYGNSS will take off aboard an Orbital Sciences ATK air-launched Pegasus XL launch vehicle. 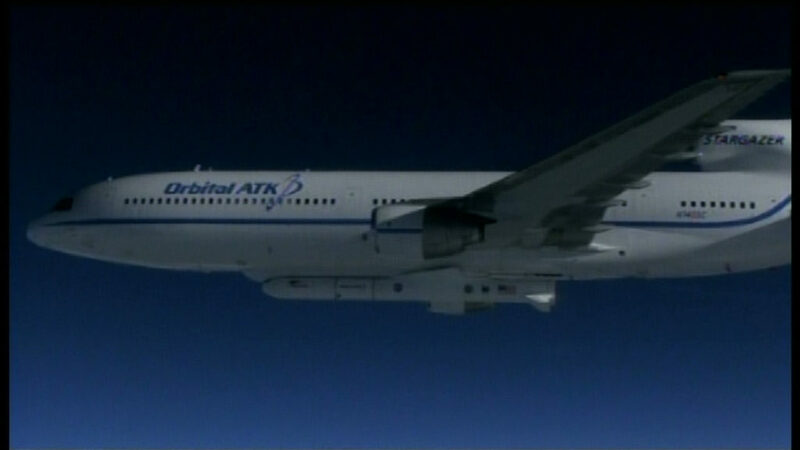 The rocket is scheduled for deployment at 8:25 a.m. over the Atlantic Ocean from Orbital’s L-1011 carrier aircraft. Monday’s launch was aborted due to an issue with the launch vehicle release system on the L-1011 Stargazer. A hydraulic system operates the mechanism that releases the Pegasus rocket from the carrier aircraft. The hydraulic system functioned properly during the pre-flight checks of the airplane. The current targeted Wednesday launch time will allow for a replacement L-1011 carrier aircraft component to arrive from Mojave, California, and be installed, as well as support the required crew rest requirements.